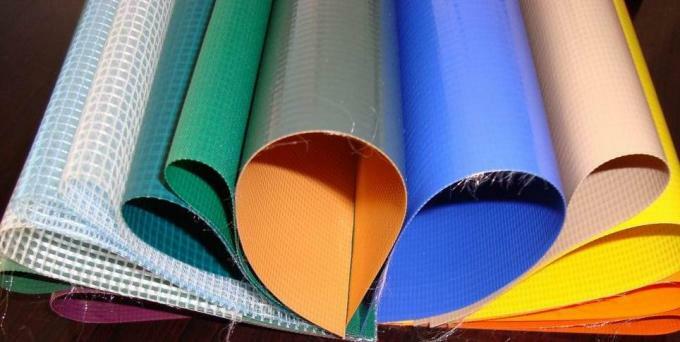 we are the professional manufacture of PVC tarpaulin and has about 20 years history. we have gained good reputation in this industry for our best quality and service . Color: Blue, dark blue, green, olive green, silver grey, orange and all other colors are available. 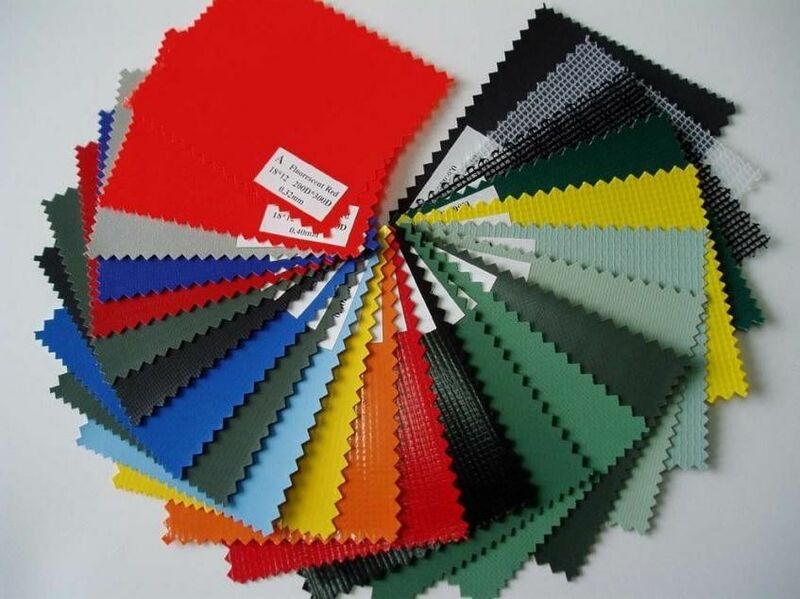 PVC tarpaulin material:100% polrvinyl chloride. 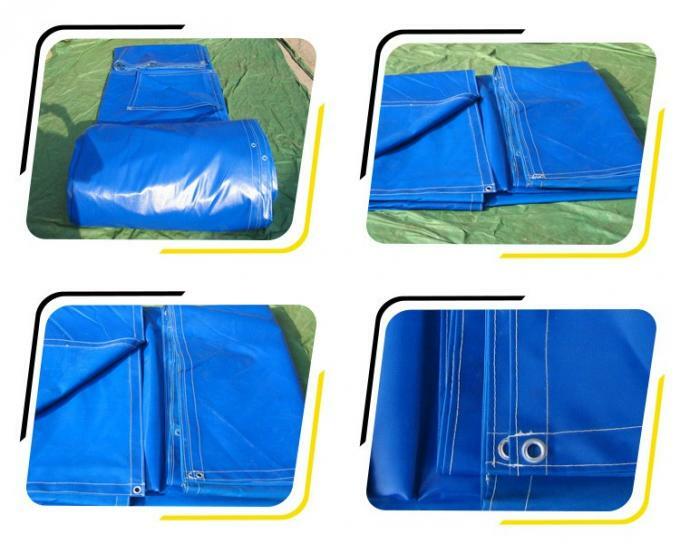 PVC tarpaulin Making: UV stabilized, flame retardant,rope reinforced along four edges, one aluminum eyelet each meter, reinforced corners and reinforced edges for longer life as well as any other special demand from customer. 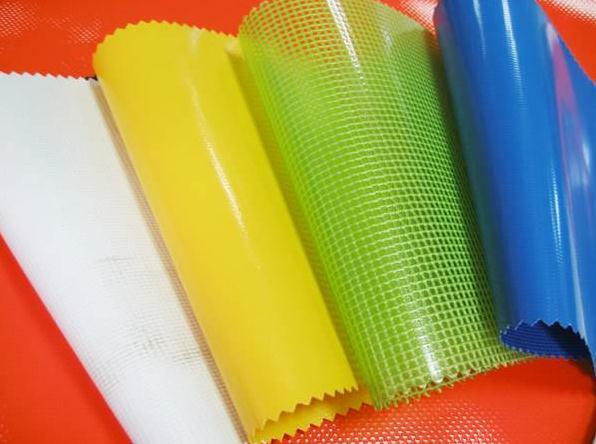 PVC tarpaulin Packing: Each piece folded and packed in a transparent plastic bag, one paper label inserted in each plastic bag, suitable pieces packed in a bale (usually25kg/bale), print shipping mark on each bale, and carton packing is also available. PVC tarpaulin Applications: make sunshade and protection awning,best building and standium top cover material,make swmming pool,airbed, inflatboat.Outdoor storage cover, truck cover, boat cover, leisure sheet, machinery cover, luggage carrier, irrigation dam, windbreak, garden bag and any other applications. We also can produce according to the clients' requirement. If you are interested in our PVC tarpaulin, please don't hesitate to contact me. Q.If our quantity less than your MOQ,How can i make an order? Q.How can i get a sample? Q.Can you do fast delivery? Q.What can i do if i get the goods with bad quality? 3.Send all your requirements to our sales,our client service team will help you solve the problem together.If the problem caused by us,we will send you replacement in next order.